The strong negative reaction on social media has prompted McGraw-Hill, the textbook’s publisher, to apologize, correct the caption and offer — free of charge — either stickers to cover it up or corrected copies of the book to schools that want to replace their old ones. In her video, Dean-Burren — a doctoral candidate at the University of Houston — notes that the section of the textbook titled “Patterns of Immigration” describes European indentured servants as working “for little or no pay” but fails to describe the similar, and worse, circumstances for slaves. “Erasure is real y’all!!! Teach your children the truth!! !” she wrote in a post accompanying the video, which has garnered close to 1.9 million views and thousands of enraged comments. McGraw-Hill CEO David Levin said in a Facebook post this week: “People have been hurt by this mistake and we need to correct it. We will." A company spokeswoman said the new print books will be available sometime next month and that “the corrected caption is being reviewed now and we expect it will be uploaded to the digital version of the book before the end of this week." Dean-Burren has applauded the publisher’s response in subsequent social media posts. Asked about allegations that there are other errors or omissions in the book regarding slavery, the McGraw-Hill spokeswoman said there are are “about 20 references to the slave trade and related issues throughout the book, including this one on page 586: 'Once captured and sold, enslaved Africans faced a terrible trip across the Atlantic Ocean as human cargo in a ship’s hold. The passage from Africa claimed millions of lives. The loss of so many young people to the slave trade did great harm to the societies they left behind.’"
Thomas Ratliff, a Republican board member from Mount Pleasant, said a list of all the slavery references in the textbook he obtained from the board chairwoman shows that the caption was “an oversight and not an intentional act,” with every other mention seemingly above board. Both board members pushed back against the notion that they are at fault for the caption in question, placing responsibility instead with the publisher. The elected body oversees the textbook adoption process. It approved the textbook in question, along with a slew of other materials, last fall after a months-long review period that saw academics and members of the public from across the political spectrum criticize the books for perceived errors and omissions. Publishers made hundreds of tweaks and more substantial changes in response to that input, including dropping content in science material that questions climate change being caused by human activity. 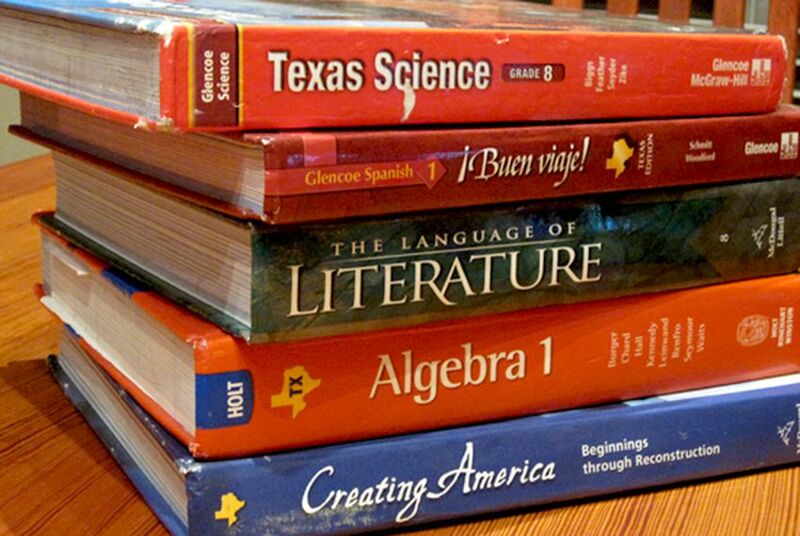 One left-leaning advocacy group blamed the controversial caption on an overly-politicized textbook adoption process and has said the materials are based on flawed curriculum standards the board approved in 2010. Disclosure: The University of Houston was a corporate sponsor of The Texas Tribune in 2013. A complete list of Tribune donors and sponsors can be viewed here.